Half-Hour Hegel: The Complete Phenomenology of Spirit (eventually): Hegel Is Always The Right Answer, No? 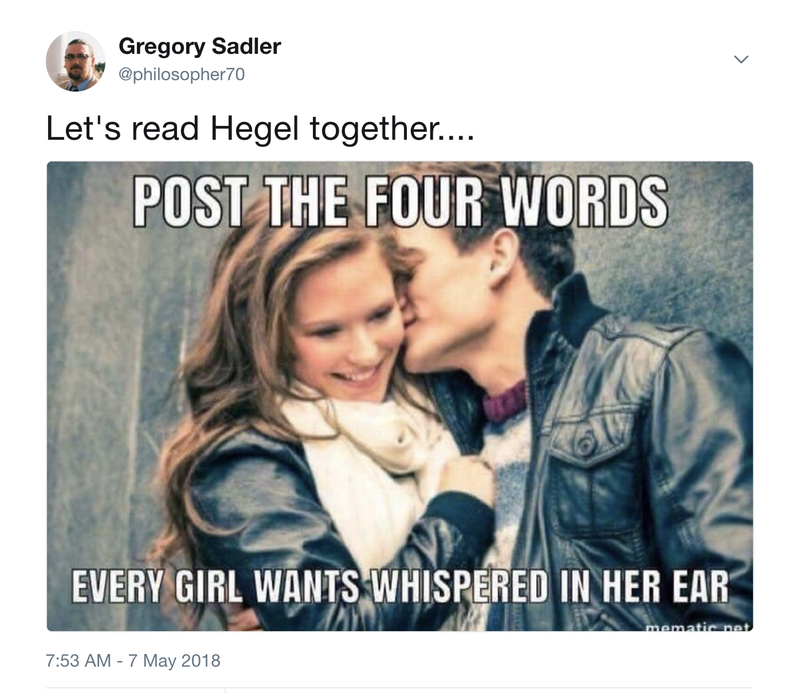 Hegel Is Always The Right Answer, No? I couldn't resist. And now this meme is making the rounds. On that note, there are actually quite a few memes that people have generated from the Half Hour Hegel project. Maybe I'll add some in here from time to time, perhaps with a bit of commentary. . .